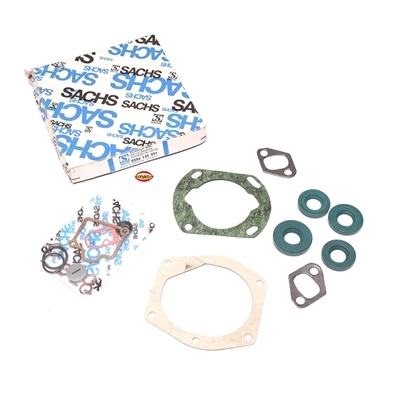 comes with gasket rebuild set for the sachs square bing, and top end gaskets and seals for the engine. 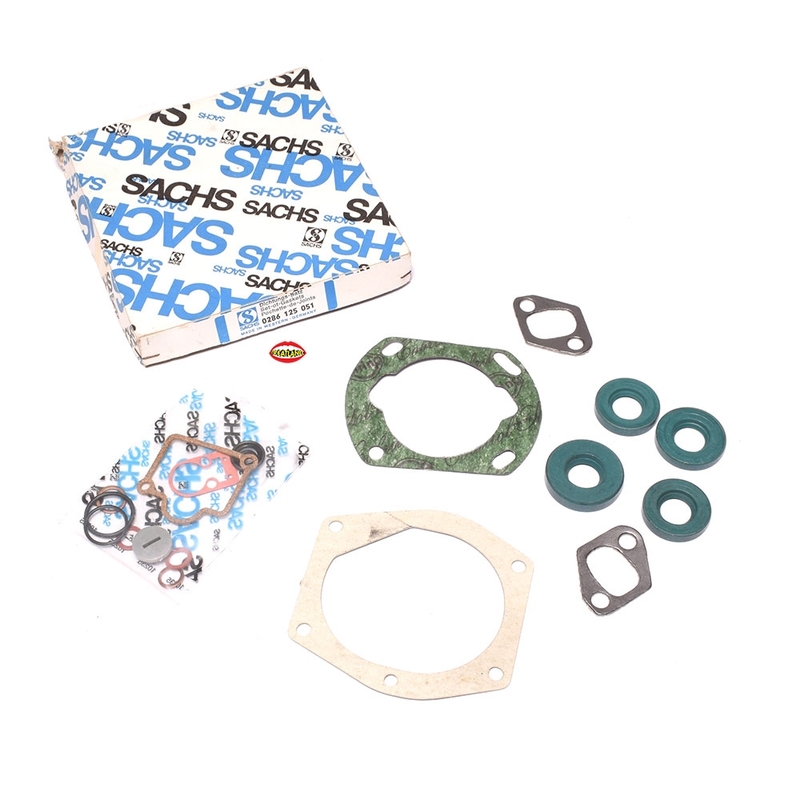 look at the needle bearing package with all the sizes of SACHS in black n blue! picked up one of these kits from another vendor a few years ago and even though the seals are a billion years old, they are still holding up.